This is a 15-drawer DVD storage coffee table/ chest being built of solid red oak with cherry accents. 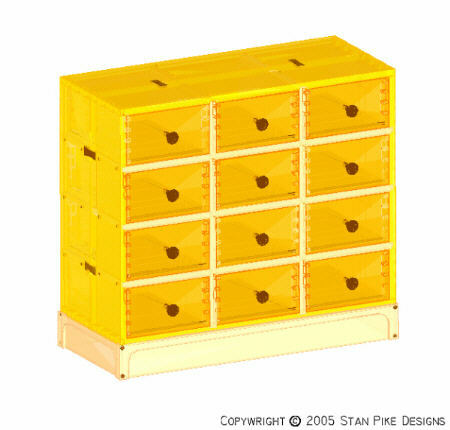 This 28 drawer "Ultimate Jewelry Chest" being made to hold a large jewelry collection. It measures approximately 52 1/2" high X 44" wide and 17 1/2" deep. It's being made of natural finished American black walnut and cherry. 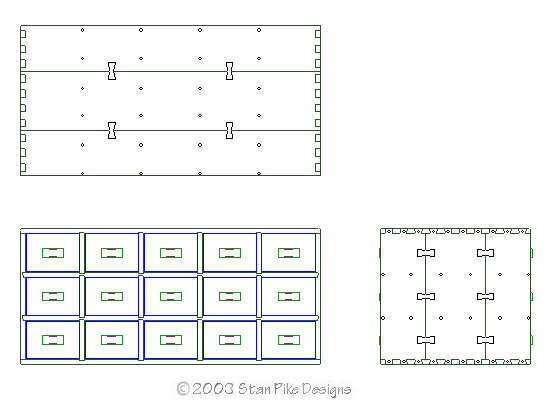 Drawers are fully lined. Two fold-out sides are made to hold hanging jewelry. Top includes a lighted fold-up mirror. 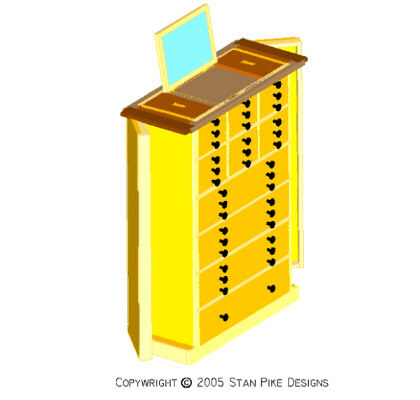 21-drawer special design apothecary chest. 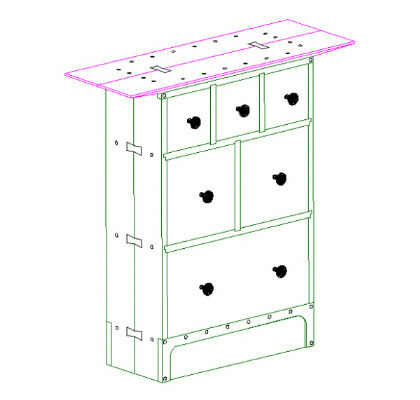 To be made of American Black Cherry natural finish casework and drawer faces. Inside wood basswood. Drawer-pulls supplied.